So, you’ve turned in your two weeks’ notice, but your boss is pleading you to stay. Flattered? Before you shake hands and say yes, take a few minutes to think about what that counteroffer would really mean in the long run. We spoke with a handful of job and salary experts on whether or not it’s a good idea to accept the counteroffer. Everyone we spoke with agreed that—unless you absolutely love your job in every other way but the pay day—counteroffers are usually bad news. In fact, Ken Stempson, director of administration for IntelePeer Inc., says that about “half of employees take counteroffers, but the majority start looking for a new job within six months because they find that nothing really changed except the size of their paycheck,” the Wall Street Journal reports. 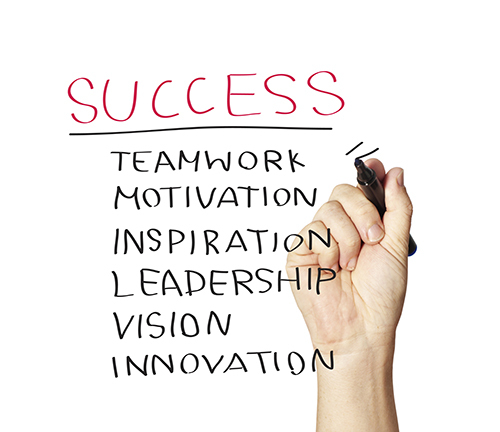 Since replacing a team member is so costly and time consuming, it’s in the company’s best interest for you to stay. But what’s in your best interest? 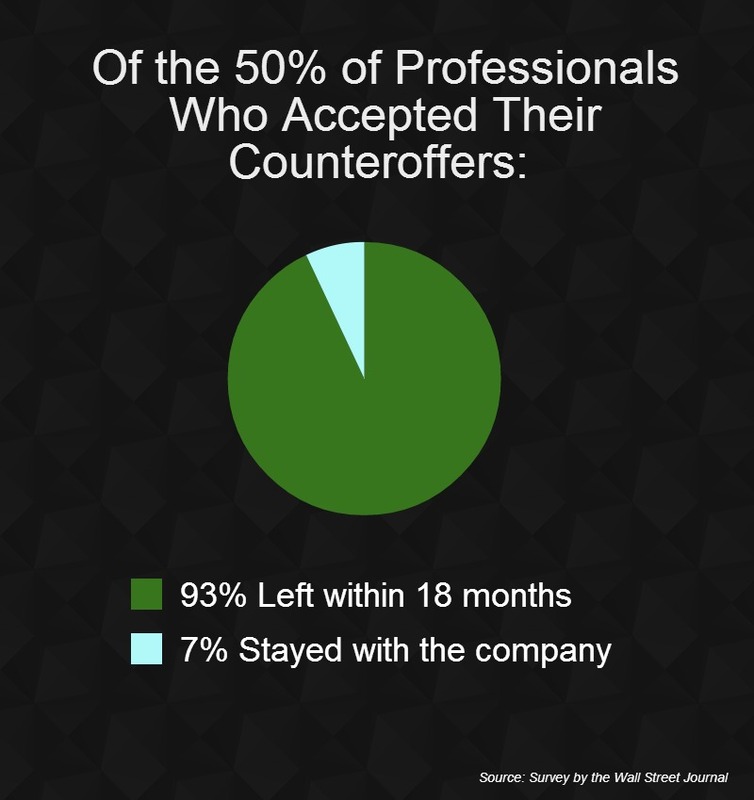 Counteroffers are a good way to “avoid having to hire and train someone new...until they are ready to do so,” says Alan Guinn of The Guinn Consulting Group. So, think about it carefully: Are you actually going to benefit in the long-term if you stay and get a pay increase? Why are you suddenly seen as more valuable now than you were a week ago? resolved if you stay, but at a higher pay grade? Unless money is theonly drawback of your job, the culture of your company, that annoying approval process, the stingy raises, lack of recognition, stunted growth opportunities and terrible management won’t fix themselves if you accept the counteroffer. Ask yourself: Is the money worth it if you’re still going to be right back in this situation—wanting something different— six months from now? “Even though they might have reacted in the moment by making a counteroffer, they will have in the back of their minds for a long time to come that you may not be loyal and will continue to have your feelers out for other opportunities,” says Ruth Ross of Squared Resources, consultant and speaker on employee engagement. Guinn would agree and says that when you’ve made your decision to go, a counteroffer can’t reverse the fact that you’ve already filed for divorce from your job. Your boss knows this. “Once you put a tear in the loyalty fabric, it’s hard to come back from that,” Ross says. “The benefit of the increased earnings will only temporarily gloss over the flaws in the culture. The shine from the pay raise will soon wear off, and the employee will decide again that they just can't take it anymore,” says Jerry Rackley, chief analyst at Demand Metric Research Corporation. 5. So, Could Your Boss Have Been Paying You More This Whole Time? If threatening to leave is what it takes to offer what you’re worth, then there may be a problem with the culture of your workplace. If they suddenly have the budget to increase your pay to get you to stay and do the same job you were doing before, something’s a little fishy. Unless you absolutely adore your job in every way but the paycheck, you’d be better off starting anew with a company that offers you more opportunities, increased pay and anything else you feel is important to your career happiness.